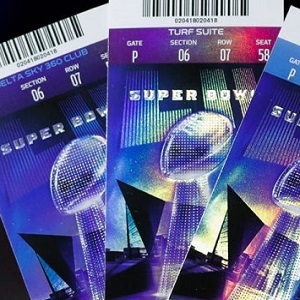 [Blind Gossip] Do you remember when all those singers said that they passed on performing at the Super Bowl this year? Some of them said that they turned down the gig because they did not approve of the way that the NFL handled the Colin Kaepernick situation. Well, one of those singers was lying! [They were] never even asked to perform at this year’s Super Bowl. That was completely made up! However, not in our best interest to call them out as a liar, so we just let it go. Basically, they are saying that they refused something… that was never even offered to them in the first place! [Optional] Why do you think Singer lied about that? I think it’s Ariana – wasn’t there another blind item a couple weeks ago about how she claimed to have refused damehood from the queen even though it was never offered to her? To try to stay relevant and be the true social justice warrior she claims to be. Anyone who acted in a Superbowl advertisement can’t take a high road either. Really weak people. Thank you! When I saw that super bowl commercial I was a little confused considering how much she “protested “ the game. So the game’s offensive but she’s allowed to make millions and millions of dollars for a game as??? Right…. I don’t understand why people were “boycotting” this year. Didn’t Colin Kaepernick kneel in 2016? There have been two Super Bowls since then and I don’t remember anyone saying anything about those. Why is it wrong for a black entertainer to be paid for the halftime show, but not wrong for the black athlete to be paid to play in the game? I’ll never understand the rationale of the Left. Because people just love to boycott, protest, and make a fuss about something these days! They are bored with their lives, and don’t know what else to do besides tweet, and be angry about one thing or another! As a lefty, I’ve heard exactly no one say that about athletes vs. entertainers. I’d say the athletes chose whether to participate as players, and the entertainer chose whether to participate as an entertainer, based on whatever they wanted to base it on. If Cardi B said she turned down the halftime show, it’s definitely a lie. She doesn’t have the stature to have been asked in the first place. My guess is they lied for publicity, to link themselves with something big like the Super Bowl…….how pathetic! She’s an attention seeker who claims she turned down the $$ for the halftime show, but apparently took $$ to appear at pre-game parties where she was seen dancing with Robert Kraft. Because she’s losing her relevance and needed headlines. All the other options (Jay Z, Pink, Rihanna) are big stars. The odd one out is Cardi B. Her music is atrocious and I don’t know why she’d ever be asked. Especially not when you look at the calibre of other singers who have. So… Cardi B.
Jay Z or Cardi B?